A very common issue that we are asked to address is how to stop a dog from jumping up, either on the owner or on others. Dogs mostly jump up when they are already excited, such as when you go outside, when you get home, when you start to play, or when guests come over. For some dogs it is simply a bad habit that has been learned as a way to get attention or affection, but often it can be dominant behaviour. It is a healthy and normal way for your dog to test your personal boundaries and how much you respect yourself and your personal space. Your own behaviour and energy and how you react in these situations is the key. This expression of excitement and joy is often appreciated and encouraged by owners, because, of course, everyone wants their dog to be happy, and we love to feel appreciated and special when we arrive home! But being jumped on is no fun at all and can be dangerous. 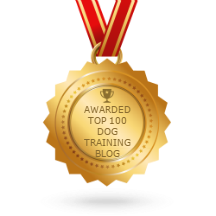 So how does a dog trainer stop this annoying habit of being jumped all over without stopping the dog from expressing happiness? Most dogs will naturally jump up when they are excited and seek attention, eye contact and try to lick faces. This is a normal and healthy instinct as pups lick the mouths of older pack members when they return to the pack to both ask for food and to show submission. We need to gently help them learn that this behaviour is not appreciated or acceptable in the human world, and that they need to display different behaviours around us. It is not usually seen as a problem when a cute little puppy jumps up on you, and we tend to allow it and even encourage it with pats, cuddles and weak energy – using a higher voice, lowered body language and soft emotions. These initial associations are very strong to young mind, and habits are easily formed. This is a very fast and easy way for the pup to learn that by doing this, they become empowered and you become weak. If you don’t want the pup to jump on you when they are an adult, don’t encourage it now. Start off by ignoring your puppy if they jump up and then only showing them attention and affection when they are calm. This works well for many puppies under 5 or 6 months old, as their agenda is usually to get your attention rather than to dominate, and their focus will be on the outcome ie did it result in something positive? If you are consistent in your approach, most puppies will quickly learn that if they want acknowledgment, they need to first demonstrate self control and respect for personal space. It’s also great to teach them that they need to earn their privileges. If their agenda is more serious, however, and the dog is actively trying to dominate or challenge you, ignoring the behaviour or turning your back will rarely work, and will often make the situation worse as it empowers the dog. In these cases, there needs to be a consequence in order for the dog to understand and to make a different decision. The dog must understand and choose for themselves that jumping up is not the most attractive option and choose to avoid it. This allows them to feel in control and fosters co-operation. Firstly, when you enter the dog’s area, present yourself powerfully! Think and act BIG. Move forward confidently and with certainty, and expect your dog to keep themselves out of your space. Notice how you introduce yourself to other humans when you want to make a favourable impression. If you want others to respect you, or if you want to impress them, this is largely dependent on your own behaviour! Greet your dog with calm and powerful energy that lets them know that you respect yourself and your boundaries (the same way you would greet rowdy students if you were a teacher) and insist your dog is relaxed and respectful BEFORE you acknowledge them or share affection. It is easy to create excitement in the dog by greeting them in an over-excited or submissive way, because we like to make OURSELVES happy by making the dog happy, and we tend to be invested in pleasing the dog and making sure our dog likes us. If you give off this weak energy, your dog will naturally respond by becoming dominant or hyper. That energy has to then go somewhere – it needs an outlet, thus often creating jumping and/or nipping. Remember, your dog can only respect you as much as you respect yourself and your own personal boundaries. It is important that you make it very clear to your dog that your personal space is YOURS, and they need to approach you calmly and respectfully. It is crucial that you remain calm and assertive, which means not becoming angry, aggressive or taking it personally. What we want to teach the dog is that yes of course they can show happiness and joy in a situation, but jumping on you is not an acceptable way of doing so. If your dog genuinely needs to release excess energy here, there is nothing wrong with allowing them to run around and be excited, just not in your space. The message is “Yes, you can run around and be silly, do that all you want, however I will not acknowledge you until you are calm”. Until you are both ready for interaction, be aloof and focus on yourself. It is very hard for a dog to remain calm and passive around you if they are the centre of your focus and attention. I call it the Boardroom Theory – follow the focus and you will find the source of power. If your dog continues to jump or nip after you have implemented this (a few days at most), then you will need to add a form of negative consequence (such as a spray from a water bottle or a flick with a tea-towel) when he jumps up, as a motivator, and to communicate this is not acceptable behaviour. Do this calmly and firmly with an attitude of self respect and it should stop rapidly. Your dog is expecting you to escalate and if you don’t won’t take you seriously. A true pack leader would not allow the other pack members to jump on them! If you are still struggling, we advise that you seek professional help.